Did someone say that dreams could not come true? 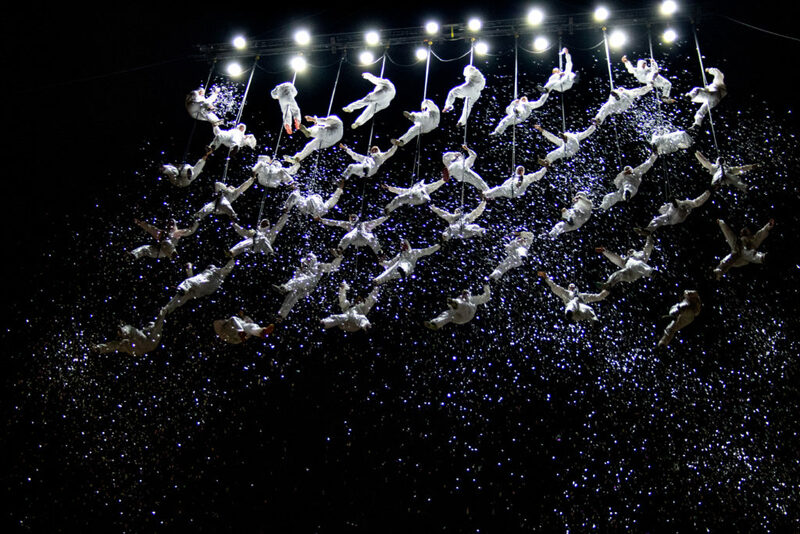 La Fura dels Baus will lead volunteers from the Fundació Atendis in a show to create a human net Dreams. It will be next Saturday, December 1 (12h pm) at the plaça Doctor Robert in Sabadell, to commemorate the International Day of Persons with Disabilities. A total of 40 people will dance a choreography hanging from a crane 40 meters high. The show by La Fura, directed by Pera Tantiñà, will consist of a big assembly with a social component. The Dreams show, through a human net of 40m high, aims to stage a fun and therapeutic element thanks to teamwork among people with special needs and their therapists, establishing an emotional connection and proximity in a different and unique environment. The assembly is a multi-sensory experience that plays with light, colors, pyrotechnics and synchronized movements to cross the fine line between reality and dreams.